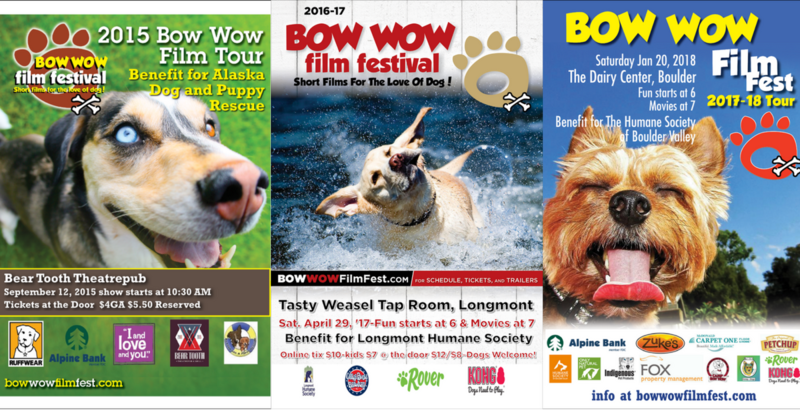 2018/2019 Face of Bow Wow Poster Contest! It’s that time of year again! We are starting to get prepared for next year’s film festival. We are accepting film submissions, planning locations and dates with the regulars, shmoozing with potential sponsors, and getting the marketing in order. The poster contest is running from Feb 15th – March 30th, 2018. A winner will be selected the first week of April. The contest is collecting photos, drawings, and images of dogs to be on the 2018/2019 poster. This means the image will be on every poster, graphic, social media post, event site, and website where we promote the shows and where the shows go. Which is nationwide and starting to go international! The top entry will be on all the marketing material and win a prize pack. The top 4 runners-up will receive prizes and lots of fun! Sure, to find the right image we could pay for fabulous stock photos, design a fun graphic, or paint a picture to make our posters. That would work just fine. But, some time in 2016 we realized people really love to not only take pictures of their dogs, but share those pictures with everyone. This contest is a way to share the fun with everyone! The rules are pretty simple. The images must be taken by or made by you which you have permission to share. Guidelines – Tips to Win! A few tips on what photos to upload, and check the image in this blog for the three previous posters. Make sure the photo is high quality. This is extremely important! Some of the posters are printed at a full banner size, and the image needs to look good when expanded. Secondly, look at how happy and close up the dogs in the previous poster are. This film fest is fun, and we want the image to convey that! There also needs to be some space for words to go. This year we are hoping to get some artwork as well. There have been some groups who made their ower poster for the shows that looked amazing last year! For our poster next year, the contest is on! Enter here, for the love of dog!